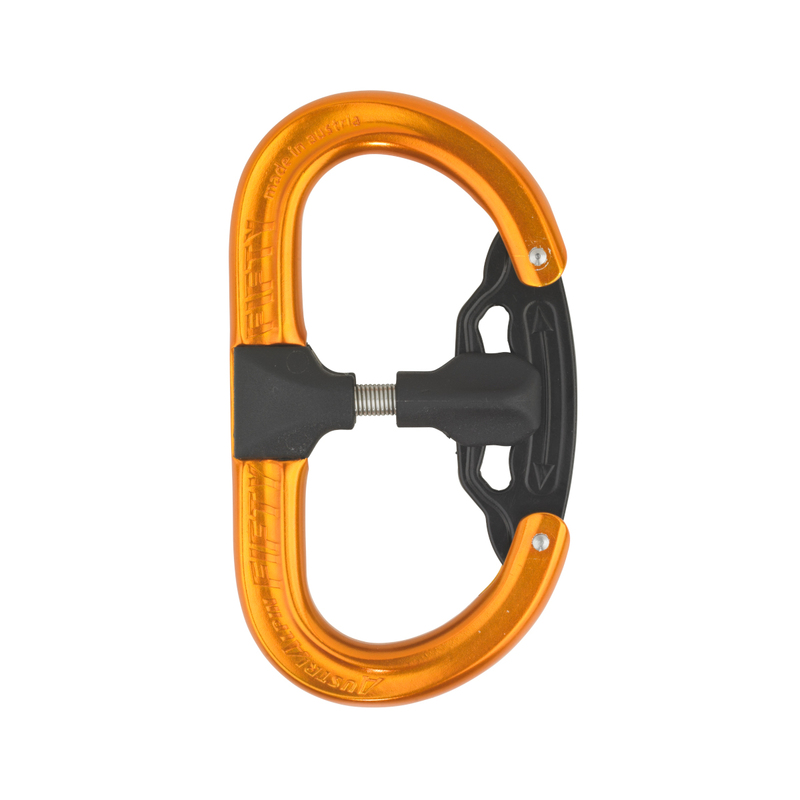 The Fifty Fifty is a very unique patented auto-locking carabiner. It has two identical compartments which open the gate alternately with a sliding spring-loaded clip, the gate will lock automatically if you lose hold of the clips and you can only open one side of the gate at a time. 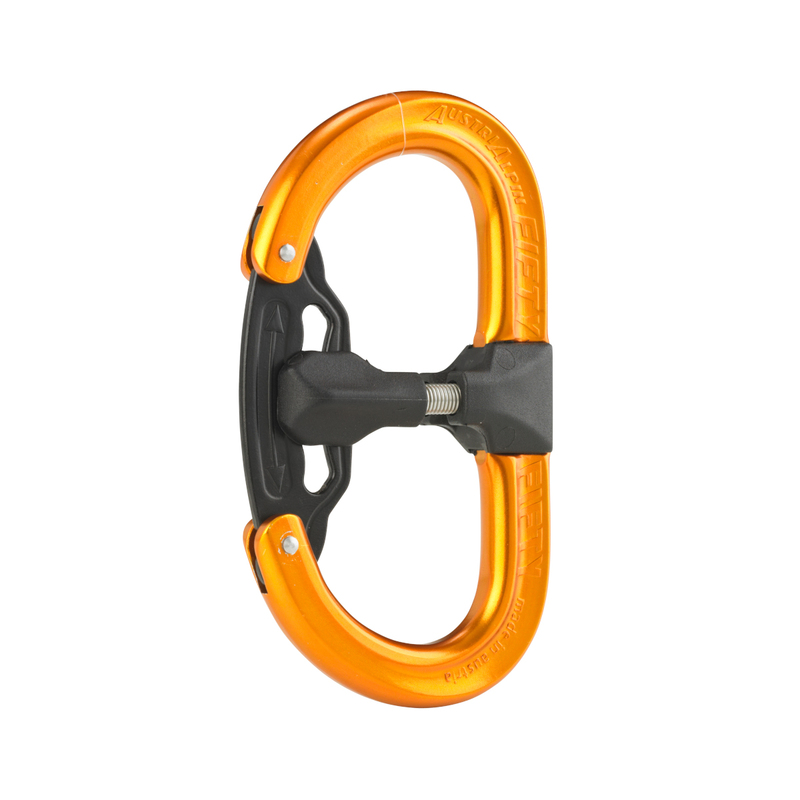 The oval shape of the Fifty Fifty prevents the dangers of cross loading. It is easy to open the gate with one hand which is very useful when you are climbing. 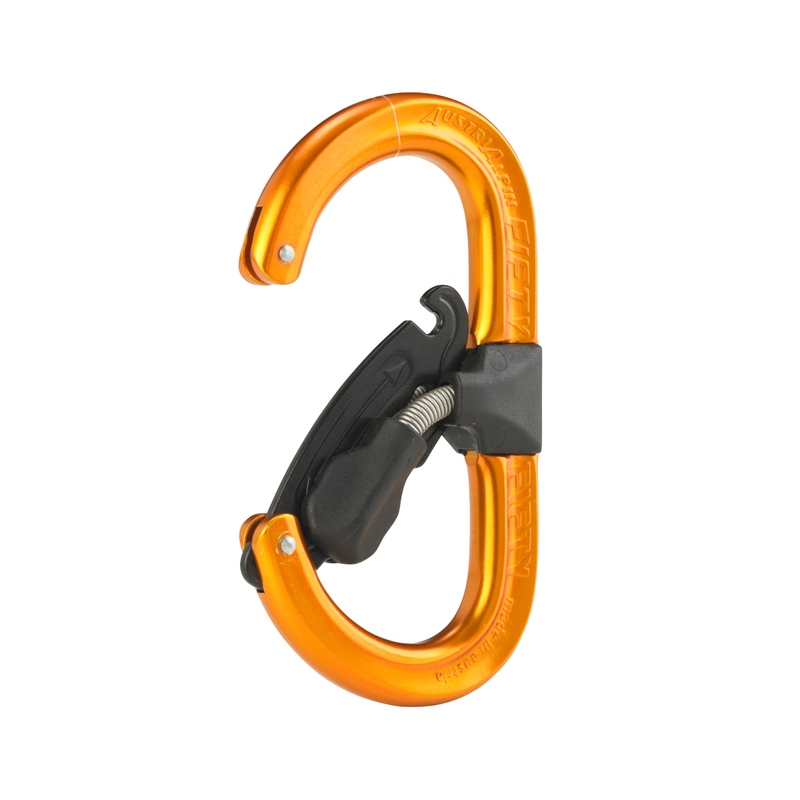 You can use the Fifty Fifty with a belay device, a personal anchor system, for glacier tracks and for many more.